Wave Life Sciences Ltd. WVE announced final safety and tolerability data from its phase I study evaluating its pipeline candidate, suvodirsen, in boys with Duchenne muscular dystrophy (“DMD”). The single dose ascending phase I study evaluated six doses of the candidate compared to placebo in DMD patients. Data showed that treatment with suvodirsen was generally safe and well tolerated. Of the total patients, 67% experienced one or more adverse events — pyrexia, headache, vomiting and tachycardia — compared to 80% of patients receiving placebo. Two patients treated with the highest of the doses – 7 mg/kg or 10 mg/kg – suffered adverse events similar to lower doses but with higher intensity. The safety profile observed in the phase I study supported progress of once-weekly 4.5 mg/kg or 3 mg/kg dose of suvodirsen in mid-to-late stage development of the candidate. 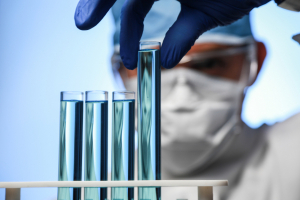 Nonetheless, Wave Life Sciences announced its plan for next-stage development of suvodirsen. The company provided the design of the phase II/III study, DYSTANCE 51, for the same. The study will evaluate the efficacy as well as safety of the candidate in patients aged 5 to 12 years with DMD gene amenable to exon 51 skipping for 48 weeks. Primary endpoints of the study include improvement in dystrophin protein level from baseline and change in the North Star Ambulatory Assessment score. The mid-to-late stage study is expected to start in July 2019 and data from it will form the basis of the regulatory application seeking approval. An ongoing open-label extension study is evaluating suvodirsen in patients treated in the phase I study. Interim data from this study is expected in the back half of this year. Apart from corticosteroids, which work by suppressing DMD symptoms, Sarepta’s SRPT Exondys 51 is the only FDA-approved therapy targeting patients with mutation of the DMD gene susceptible to exon 51 skipping. We note that a 30 mg/kg/week dose of the drug had increased the dystrophin protein level from baseline by almost three times. In the meantime, we wait for Wave Life Sciences to provide efficacy data from the phase II/III study, which is evaluating much lower doses of suvodirsen compared to Exondys 51. Moreover, competition is set to rise in the DMD segment. Sarepta has a DMD candidate, golodirsen under review in the United States while another candidate is in late-stage development. Pfizer PFE, Solid Biosciences SLDB and Scholar Rock are also developing their respective DMD candidates. Wave Life Sciences currently carries a Zacks Rank #3 (Hold). You can see the complete list of today’s Zacks #1 Rank (Strong Buy) stocks here.